A full day spent within the North Yorkshire Dales National Park. A wonderful blend of terrain for vehicle and drivers combined with some of the most beautiful surroundings this area has to offer. Our personal favourite and a great day out for all levels of experience, no matter how many times we drive this tour we still enjoy every minute when we run it. 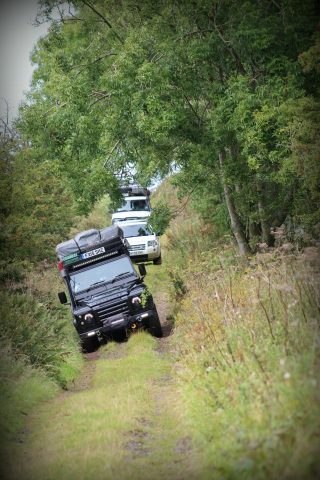 All Terrain Tours are specialists in greenlane routes throughout the north of England and Wales. We've been promoting safe and responsible recreational use of four wheel drive vehicles in the countryside since 2008 through experienced staff using fully equipped vehicles, offering advice and tuition throughout the day.